charming old-town-hotel ... very nice, clean boutique hotel. staff very friendly, nice situation. 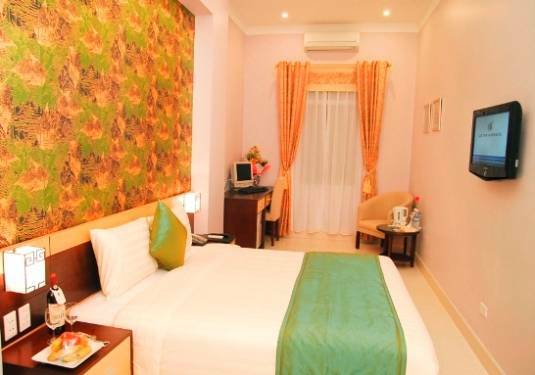 One of 4 hotels in our group, Hanoi Elegance Sapphire hotel is the perfect combination of our renowned hotel service, the finest architecture and the most luxurious facilities, which far exceeds all other hotels in Hanoi. Located at No. 106 in the main shopping area of Hang Bong Street, in the centre of the historic Old Quarter of Hanoi, the hotel stands out from the others with its grand façade, the superb pillar structure of the lobby lounge, finished in marble and granite. The must-see sights such as the Lake of the Sword Returned (Hoan Kiem Lake), the HCM Complex, the Temple of Literature etc. 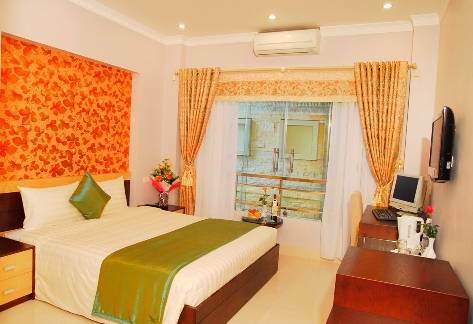 are within walking distance of the hotel, as are all shopping, banking facilities, as well as eating and entertainment options. 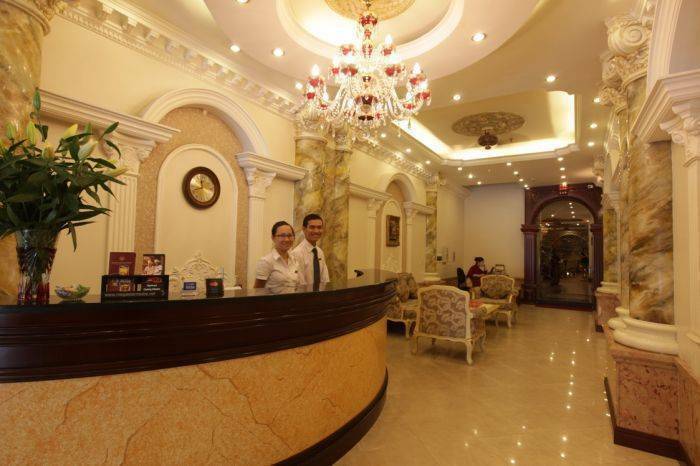 At Hanoi Elegance Sapphire hotel, guests will enjoy a luxurious stay supported by brand new and modern facilities & amenities, looked after by a team of dedicated and professional staff. 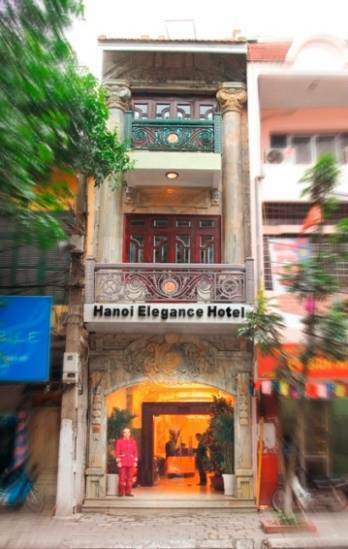 Retreat from the daily hustle and bustle of Hanoi, indulge yourself in the exclusive tranquility and luxury of your stay at our Hanoi Elegance 3 hotel where all your needs are met. Private computer in each room with free ADSL internet access. Welcome drinks. Daily fresh fruit & flower. 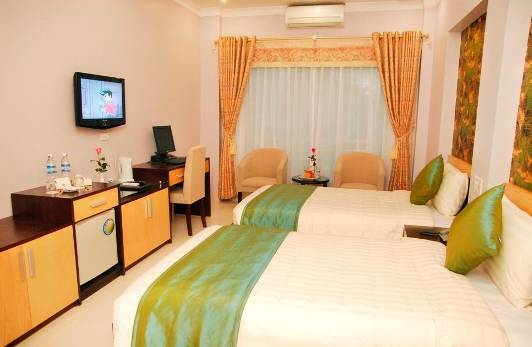 Fully service: valet, laundry, ticket booking, travel desk etc. 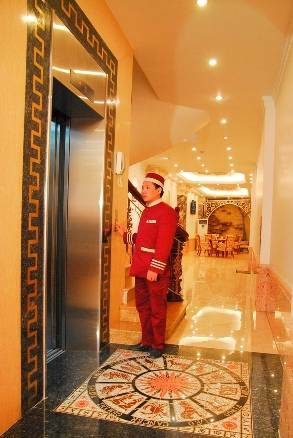 Fully 24hrs service: valet, laundry, ticket booking, travel desk.